Grymes created these sites in 2011-12 school year. We plan on moving them over to this site when we have the time. This 10 minute presentation illustrates the growth of the United States from the original thirteen states in 1789. Click here to play. Games to practice USA states, capitals, and landscapes. Click here to play. 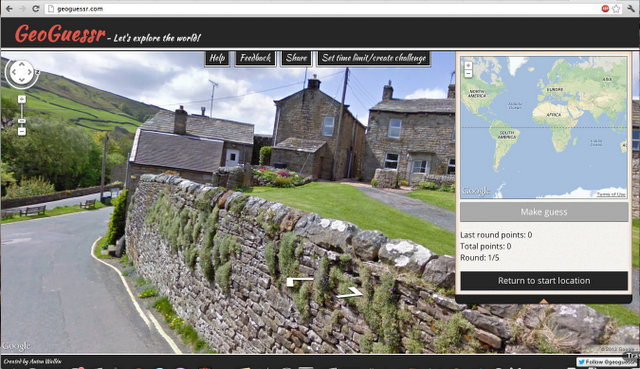 GeoGuessr is a web-based geographic discovery game designed by Anton Wallén, a Swedish IT consultant. The game utilizes random Google Street View locations and requires players to guess their location in the world using only the clues visible in Street View. Toporopa is meant for everyone who wants to know more about Europe. This includes scholars who study geography, adults who want to test their knowledge and seniors who want to keep their brains fit. Toporopa provides educational and entertaining quizzes about Europe. The focus is on the map of the European continent that brings together geographical, political, historical and economical knowledge. 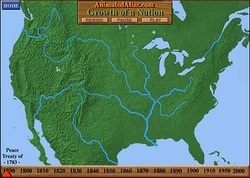 Social Studies Maps - This site created by Jefferson County Schools in Dandridge Tennessee looks like it has a lot of great information including online activities. I have not had a chance to review these links. 50 States - This site created by Jefferson County Schools in Dandridge Tennessee looks like it has a lot of great information including online activities. I have not had a chance to review these links. The World - This site created by Jefferson County Schools in Dandridge Tennessee looks like it has a lot of great information including online activities. I have not had a chance to review these links.